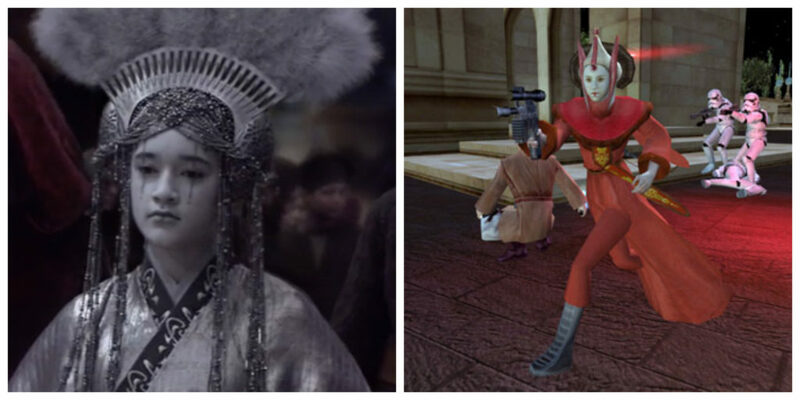 Queen Apailana in Revenge of the Sith (left) and Battlefront II (right). Apailana was the Queen of Naboo during the events of Revenge of the Sith. You can also find her in the Legends book The Last of the Jedi: Death on Naboo and the video game Battlefront II. Actress Keisha Castle-Hughes played Apailana in Revenge of the Sith.